Looking for a Used GS F in your area? CarGurus has 117 nationwide GS F listings starting at $44,690. Over the past few years we've seen a horsepower war of sorts among luxury sports cars, and this year Lexus is throwing a new entry into the ring with the GS F. So what's the competition like? The BMW M5 pumps out 560 hp, the Mercedes-Benz E63 AMG boasts 577, and the Cadillac CTS-V can roast the tires with 640. With all that competition, Lexus has got to go big to get into the game with the GS F, right? Wrong. Packing 467 hp, the GS F is less powerful than its competitors—and that could actually be a good thing. In building the GS F, Lexus has no desire to post the fastest quarter-mile time, highest horsepower rating, or quickest run to 60 mph. Instead, Toyota's luxury division decided to focus on the driving experience, building a luxury car that could be driven fast and would maintain its premium qualities even at high speeds. Under the hood, you'll find a massive naturally aspirated 5.0-liter 8-cylinder engine pumping 467 hp and 389 pound-feet of torque to the rear wheels via an 8-speed direct-shift automatic transmission. That's good for 16 mpg city/24 highway/19 combined. Not too shabby for a car capable of hitting 60 mph in 4.5 seconds and a top speed of 168 mph. Inside, you'll be able to comfortably seat 5 on the perforated leather seats, and there's 14 cubic feet of cargo space in the trunk. The driver and front-passenger seats are also heated and 10-way power-adjustable. Everyone in the car will be able to enjoy the 12.3-inch color touchscreen display powered by Lexus' Enform infotainment system, which comes with navigation, 12 speakers, Bluetooth connectivity, and Siri Eyes Free. Other interior features include dual-zone automatic climate control with a smog sensor, a power moonroof, auto-dimming mirrors, and carbon fiber trim. The driver gets to enjoy LFA-inspired instrumentation, selectable driving modes, and paddle shifters. For the true luxury buyer, a Mark Levinson 17-speaker sound system is available, as are orange brake calipers. On the safety front, the GS F boasts triple-beam LED headlights, a backup camera, a blind spot monitor with rear cross-traffic alert, 4-wheel antilock brakes, traction control, electronic stability control, and 10 airbags. While there's no doubt the GS F plays the part of a luxury car, how does it stack up as a performance car? As can be seen from the numbers, quite well. But the numbers fail to tell the whole story. Like the much-hyped RC F, the GS F will come with a standard torque-vectoring differential, which splits torque between the rear wheels as the car sees fit. Exactly how the car deals with that torque depends on the different available driving modes, which can make the car either more stable or more aggressive depending on the type of driving you want to do. This plays a huge part in helping Lexus deliver the driving experience it wants to with the GS F—without the torque-vectoring differential, the GS F would have a much harder time remaining a comfortable drive when pushed to its limits. 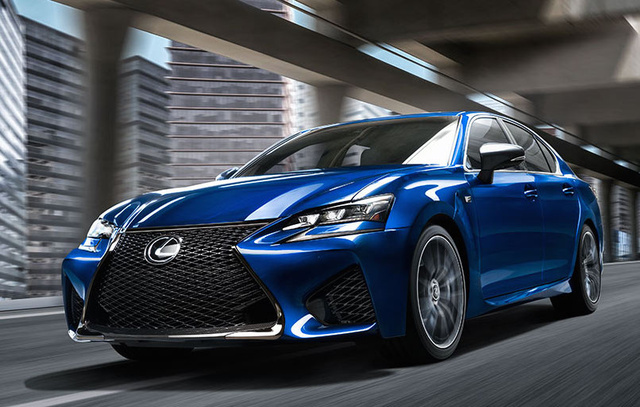 If you're looking for a luxury sports car and don't want to compromise on either luxury or sportiness, take a good look at the brand-new 2016 Lexus GS F. While it's meant to be a serious sports car, it's designed to pull off its sportiness with luxury and comfort in mind, and it aims to inspire confidence in its drivers. For the buyer who cares more about experience than bragging rights, the GS F will be a great fit. Zach is a gearhead and travel junkie who loves to check out cars wherever he goes. Having lived abroad in Germany and Russia, he has grown particularly fond of European cars, but has found nothing able to top his love for his first car: a 2001 Toyota Tacoma. What's your take on the 2016 Lexus GS F? TheHorror High power and an enjoyable driving experience needn't be mutually exclusive. Have you driven a 2016 Lexus GS F?